Welcome to my review of the Oppo PM-3 Headphones. The Oppo PM-3 Headphones arrived beautifully packaged. 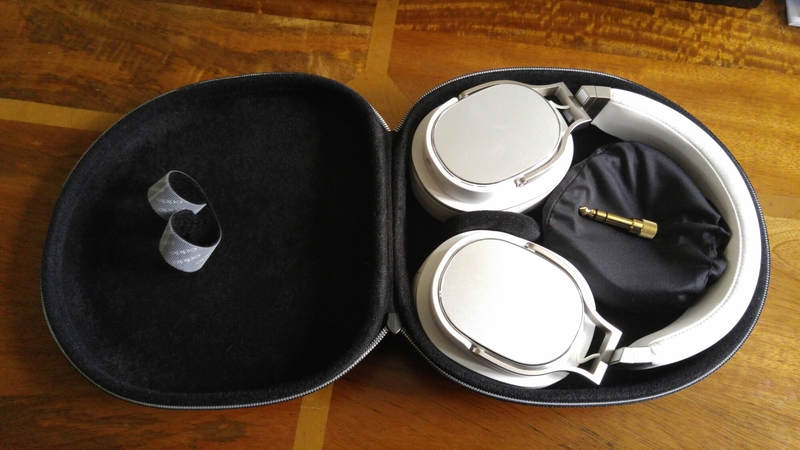 Included with the headphones are a denim carry case ideal for transporting, a heavy duty 3m length headphone cable for at home listening and an adapter to convert the 3.5mm end to 6.3mm, a android / windows phone 1.2m cable with mic, phone and music controls, an iPod / iPhone and iPad 1.2m cable with mic, phone and music controls and a portable 1.2m cable without mic. Basically Oppo has you covered for whatever device you have any whether you are at home or travelling. As you can see the headphones are luxuriously built and comfortable to wear. I really have an issue normally with headphone comfort but not with the PM-3’s. But the burning question is what do these sound like? Well I have had these burning in for 100 hours now and the difference that makes to the sound is remarkable. Once I have 200 hours burn in I will update my review. But before I detail the sound quality, let me explain more about the technology and what makes these headphones special. 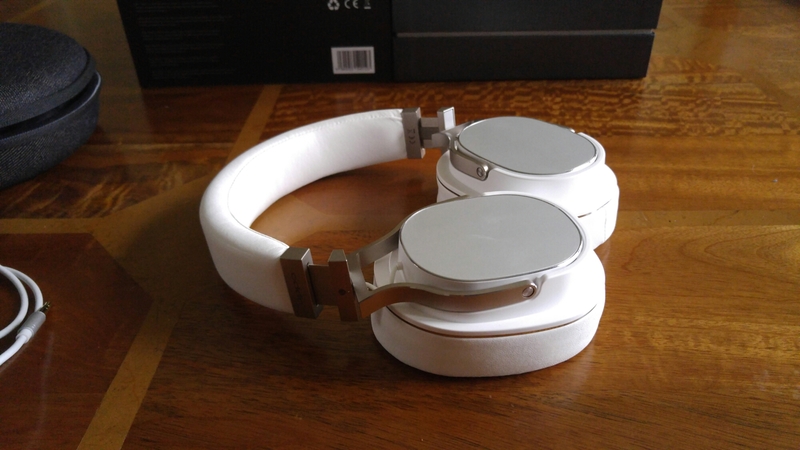 The OPPO PM-3 utilizes a planar magnetic driver that was developed from Oppo’s driver in their EISA award-winning PM-1 headphones that cost £1,100, Technological breakthroughs achieved during the PM-1’s development, such as the 7-layer double-side voice coil diaphragm design and FEM-optimized neodymium magnet system, have enabled Oppo to reduce the weight of the planar magnetic drivers while maintaining excellent sound quality and high sensitivity. Oppo state that this driver would not have been possible without the breakthroughs achieved in the PM-1’s driver design. The PM-3’s offer tremendous value as these cost £349. In the PM-3’s planar magnetic driver, sound is generated by a very thin and light diaphragm which is driven in a symmetric pull-push manner, and the magnetic system and conductor patterns have been optimized for maximum sensitivity and consistency. This allows the diaphragm to generate very stable and linear piston-like vibrations, ensuring phase coherence and high resolution performance with minimal distortion. The PM-3 driver’s smaller size and high sensitivity overcome the shortcomings of traditional planar magnetic technology such as being difficult to drive and heavy weight. This all-new 55 mm diameter round driver is especially suitable for a lightweight close-back design like the PM-3. The PM-3 maintains the very natural and smooth sound signature of the PM-1, and is tuned to have deep, tight bass and a touch of excitement. The OPPO PM-3 has a sensitivity of 102 dB, which allows it to be easily driven with mobile devices. Its low impedance works well with smartphones that ship with low impedance ear buds. With a weight of just 320 g, the OPPO PM-3 is the world’s first truly portable closed-back planar magnetic headphone. It folds flat and comes with a selvedge denim carrying case. When folded and protected in the carrying case, the PM-3 takes very little space in a briefcase or backpack. Below I have chosen a selection of tracks from a wide genre of music to give you an idea as to how these headphones sound. For testing purposes I used my wife’s iPhone 5S, a LG G4 smartphone and Samsung Galaxy S6 Edge. 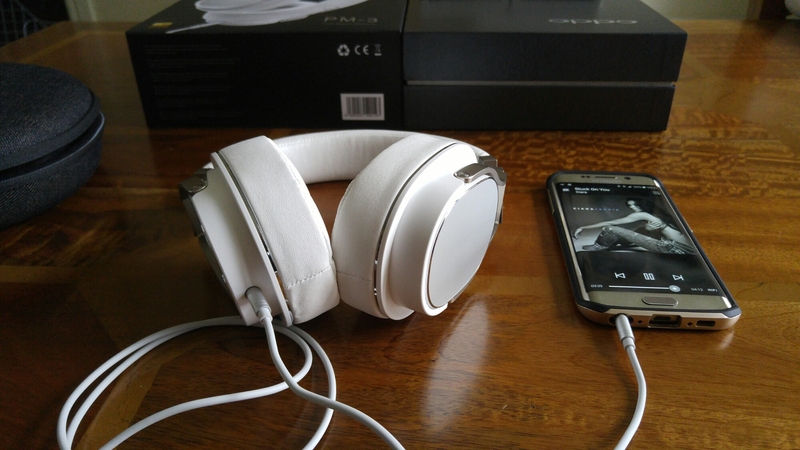 I also added in for comparison the Oppo HA-2 Portable Headphone/DAC. My music is recorded at 320mp3 bit rate. For FLAC playback, I used my Tidal subscription to compare a number of tracks. What I will say from the outset, that all 3 smartphones had no issues powering the Oppo PM-3’s. As I scaled up the power and quality with the Oppo HA-2 the performance and reproduction improved again. James Holland & Florence Welch – Florence Welsh’s voice is sublime. The piano playing and the backing orchestra come across really accurately. Good musicality and bass lines. N-Fluence Clubbers Guide to Trance – Sweet Subtance – not much in the way of vocals with this track, but plenty of punch and the electronic instruments are easily separated in the track. Plenty of power and volume through the PM-3’s! Matt Cardle – All for Nothing – stunning performance. Good clear vocals, and punchy bass line. Duran Duran – Proposition – superb instrument separation at the start of the track. Realism of vocals too. Musicality so evident. In fact with all songs playing I often find myself toe tapping to the music with these headphones. Jerry Goldsmith – The Mummy – Crowd Control – incredible performance inside my ears. If you get these headphones, just hunt this track out and listen for yourself! The sound is so dramatic you can imagine yourself within the music. Emeli Sandé – Next to me – drums accurately and musically produced. Emeli’s voice is excellently produced. You can hear all the backing singers too. Stevie Wonder – I played the Definite Collection and every track sounded so good I replayed the entire album. London Philharmonic Orchestra and David Parry – Pavane – a beautiful piece of music that sounded full of emotion through the PM-3’s. Instruments clearly defined too. Now using Tidal HiFi streaming service and playing FLAC quality into the PM-3’s. At this point I also used the Oppo HA-2. Leonard Cohen – Field Commander Cohen – everything from his voice to all the instruments just sound crazy good. You can really pick up his tone of voice. Blur – Lonesome Street – time to close your eyes and rock away with Blur! With all the above tracks I found I was constantly toe tapping to the music. The Oppo PM-3’s are a dream to use with your music. By providing a closed back design, only you hear the music and being able to work from your smartphone is such a bonus that is previously unheard of with planar magnetic headphones. 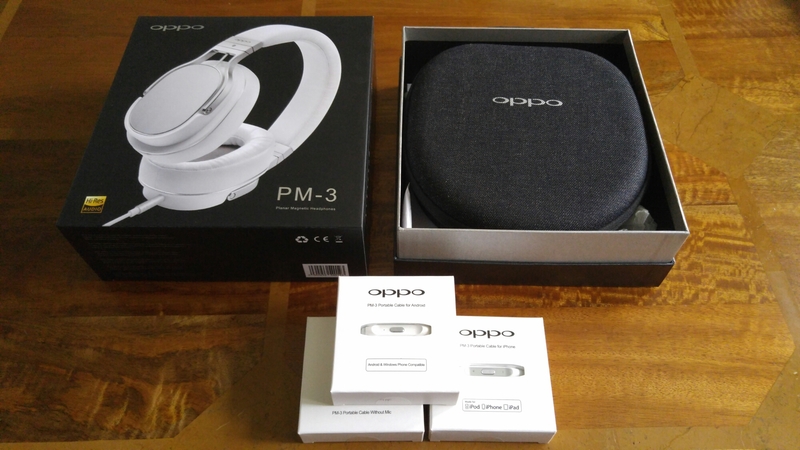 I am amazed at how Oppo managed to manufacture the PM-3 Headphones for such a competitive price of around £349. This is even more remarkable when you take into account the class leading innovation and technology sitting inside these headphones. 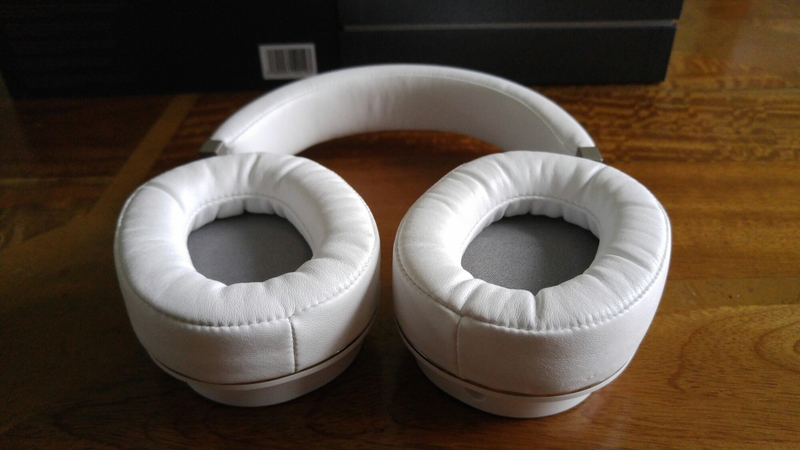 They also sound marvellous, comfortable to wear, keep your music private to yourself and come with all the extras cables need to provide compatibility with a multitude of mobile devices too. Seriously recommended. Gavin thanks for this. Really helpful. I’ve now cancelled my Tidal subscription and spending that money on buying DSD downloaded music from Qobuz. Thanks Jah. I will look at Qobuz. Really enjoy Tidal myself atm. I just bought PM-3 and found it to be fascinating. However, I think it lacks some impact and deep bass. It lacks some fun. Can you recommend any portable DAC/Amp to help this issue? I read about HA-2 on your blog and found it interesting, but maybe you have another DAC/amp that you find it fits my need so I came to ask. I’ll use it with iPhone 6. Hi Duke. The PM-3 have lots of impact. The HA-2 is a good option tbh. Also look at apps. Audio Gate is my favourite. Onkyo HF Player and Neutron too. Thanks for the reply Gavin. Have you ever tried FiiO E12 or E18 or Cayin C5 ? Would be great to hear how are they compared to HA-2. Yes all 3. Forget Fiio. Nice gear. But Cayin C5 warmer and punchier. Seriously though the HA-2 works so well with the iPhone. Is MFI approved. And has a very short lightning cable in the box. So you mean here’s your recommendation right? Yes. If money was no object in your range of options. However the Cayin C5 is just an amplifier so you would be amplifying the headphone jack output sound, unless you already have a separate DAC. With the Fiio you would also need the Apple USB Camera cable if taking the sound digitally via the lightning connector, otherwise you would go analogue and just use the headphone jack. The neat aspect of the HA-2 is it is Apple MFI, so works directly out of the lighting connector. A tidy solution too. Really appreciate your time and effort here. I just amended last reply. I meant with Fiio, you would need the apple camera cable for the lightning port. I heard that Fiio came up with L19 Lightning to MicroUSB cable. May have to try and see whether it compatible with iPhone though. I don’t think it is approved by Apple also, as there’s no advertising about that approval. That’s strange. Somehow it does available here in Thailand, for around $30 or 20 pounds. Gavin. 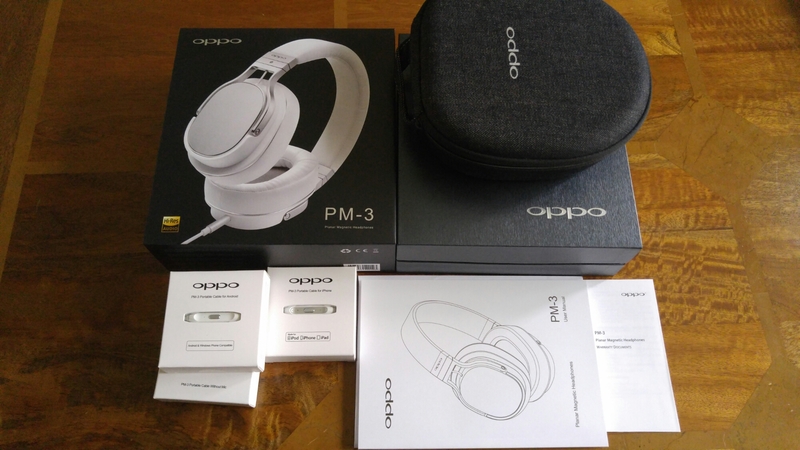 Based on your reviews (and of course my budget) I have taken the plunge and purchased the OPPO PM-3 headphones (HA-2SE will follow next month). As an amateur in this field, how would you recommend burning the headphones in? I saw some noise recordings on youtube but is it just as effective to leave these on with the DAB radio playing when not in use? I want to do this right to ensure that I get the best out of them. Just play some music at 3/4 volume for up to 100 hours. 48 hours is good enough to get going though. Thanks Gavin. That was a lot quicker response than I expected. Do you mean three quarters of the system volume or level 3 or 4? Three quarters seems very loud, I would be worried about blowing the drivers.